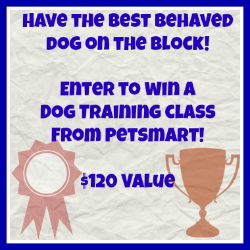 Win a dog training class from PetSmart! Dressing up pets for Halloween? Sure thing! Enter to win a $25 PetSmart Gift Card!